There are so many reasons why everyone should get their annual flu vaccine. Please join me this flu season in sharing the reasons you fight flu each year. 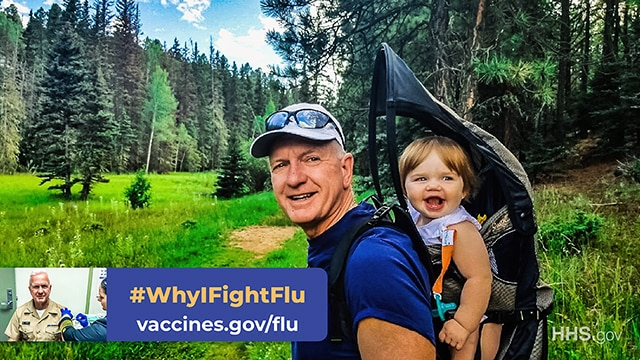 Post your reason to your social media with the hashtag #WhyIFightFlu and encourage your family, friends and colleagues to do the same. To help, you can download a #WhyIFightFlu card - PDF. To learn more about the flu and find a flu vaccine location near you, use the flu vaccine finder and visit Vaccines.gov.